On the Charles Taylor verdict: a valuable precedent or blundering Western meddling? A judge from the tiny Samoan archipelago made history last week by declaring that Charles Taylor, the deposed president of the West African state of Liberia was guilty of “aiding and abetting” the multiple atrocities committed by a rebel force in neighbouring Sierra Leone – nine years after being indicted by a United Nations Special Court. The judges unanimously ruled that Mr Taylor knowingly assisted the commission of these crimes by providing a continuous flow of arms, ammunitions, logistical and other forms of support to the main rebel group (Revolutionary United Front) in exchange for diamonds. The six-year trial heard harrowing stories of how Taylor’s forces unleashed a maelstrom of brutality across the volatile region. Taylor aimed to make billions from exploiting the richest diamond fields of that part of the planet – and as many as 70.000 people were killed in the blood-soaked conflict that embroiled Liberia and Sierra Leone, even spreading in neighbouring Cote D’Ivoire and Guinea. According to the verdict passed last week by the Special Court for Sierra Leone, Charles Taylor, the warlord-turned- president of neighbouring Liberia, was responsible for helping to “mastermind” the strategy of vicious repression that was implemented against innocent civilians in Sierra Leone – a country he once wielded immense influence, and where tens of thousands of people were killed, mutilated, raped and repeatedly displaced for years. It seems such a long time ago that our television screens were filled every night with the latest atrocities committed in Sierra Leone and Liberia’s civil wars. Yet even by the standards of Africa’s recent violent history, the conflict in Sierra Leone generated some of the most gruesome images of cruelty we ever seen in modern times, and is one of the most blood-splattered episodes in African story. But, as so often happens with so many conflicts in Africa, the horrors of Sierra Leone soon passed from our consciousness, particularly after Britain’s military intervention in 2000 – led in swashbuckling style by the hawkish government of former Premier Tony Blair. The signature atrocity of the rebel forces that first overran Sierra Leone in the 1990s was to chop off the limbs of their opponents with a machete or an axe. They were stories of truckloads of victims who had recently been maimed being taken to a UN compound still bearing their severed limbs in the forlorn hope that they might be saved. So the fact that, all these years later, the person responsible for this bloodshed has been convicted of war crimes should be seen as a major breakthrough in the global effort to bring war criminals to justice. Not since Karl Donitz, the German admiral who briefly succeeded Hitler upon his death was tried and sentenced by the International Military Tribunal, has a head of state been convicted by an international court. The judgement is an important milestone in the efforts to combat impunity – and sends a powerful message that there is nowhere left for bloodthirsty despots to hide. This ground-breaking verdict permanently locks in and solidifies that rogue leaders are now accountable to what they do to their people, and are not immune from prosecution. It also represents a substantial step forward for international justice: even if a state is too destabilised or weak to put one-time rulers on trial, there exist international mechanisms to do it. This also sets an important precedent that, in the long and sorry annals of monsters in power, was long overdue. It may have given the ICC the courage to indict the Sudanese tyrant Omar al-Bashir who is openly defying attempts to arrest him on genocide charges committed in Darfur. He remains out of reach of the court and is engaged in a new conflict with the oil-rich South Soudan. He continues to rule Soudan with an implicit nod from African leaders, including the triumvirate of Ethiopia, Tanzania and Kenya, who failed to arrest him when he visited their respective countries. Another tyrant who has escaped justice so far is the former Chad president Hissene Habre, who resides in a sumptuous mansion in the West African state of Senegal, which has refused to try or extradite him on charges that he orchestrated the political killings of more than 50.000 citizens. The sombre finale of Taylor’s trial in the windowless courtroom in a leafy suburb of The Hague marked a dramatic turnaround for a man who once reigned supreme in tropical jungles half a world away. It also represented a symbolic moment for Sierra Leone, Liberia and even Cote d’Ivoire as they come to terms with the legacy of his bloody campaigns in the 1990s. Like many would-be dictators and despots, Taylor did not soil his own hands with the disagreeable business of committing atrocities: he left that grisly task to the henchmen of Sierra Leone’s Revolutionary United Front, the main rebel body. The only “dirty” business Taylor himself undertook was to receive millions of dollars’ worth of “blood diamonds” as payment for the arms he helped to ship across the Liberian border to the Sierra Leonean rebels. One of the ironies of the Taylor’s trial is that, while it is of great significance for Africa, it has also highlighted concerns that, for international tribunals, the Dark Continent has been a “convenient laboratory “to test concepts which have not been applied to other parts of the world. Perhaps inevitably, justice is also selective. Yoweri Museveni and Paul Kagame, respectively presidents of Uganda and Rwanda have both armed rebels who pillaged the Democratic Republic of the Congo to gain control of their vast natural resources. The aforementioned leaders would be vulnerable to the same prima facie case as Taylor, but so far, the ICC is not even contemplating of asking for their prosecution. Some will rightly argue that the overly constrained proceedings in The Hague are really like a show trial, a demonstration of western judicial power rather than a real exploration of the facts and figures surrounding series of events that destroyed hundreds of thousands of lives across the region. Many “fleet street” newspapers and left-wing “think-tanks” have written articles suggesting that all leaders can be held accountable for their crimes by the ICC - but if we are all talking about accountability, then we should look immediately at the permanent members of the UN Security Council: namely the USA, China, France, Russia, and the United Kingdom. The likes of presidents Putin, Bush, and Hu Jintao will never face criminal sanctions for their roles(aiding and abetting) in Chechnya, Afghanistan, Iraq, Vietnam, Tibet to name but a few. When we hear the names of Guantanamo Bay, and the notorious prison of Abu Ghraib, the immediate association is with American war crimes. How likely that we will see former British Prime Minister Tony Blair, and his stooges, such as his former foreign secretary Jack Straw, brought to justice for their complicities in Iraq, and for many cases of torture and rendition flights in Libya under Muammar Kaddafi. A growing number of civil rights activists, international law experts, and human rights groups have raised their concerns at the ICC dealings – a court created for the crimes in one continent is by definition discriminatory, incapable of equal justice, and a weapon against chosen “enemies” – Thomas Lubanga, Jean Pierre Bemba and Laurent Gbagbo amongst many. If there is to be a fair International Criminal Court, it must act equally as to all nations with none above the law. The growing number of African defendants in the international courts, especially high-ranking politicians and heads of state, will at least put pressure on African autocrats to consider the personal risks of their human rights abuses. But it could also encourage some to cling at any costs to power, fearing jail if they step down. Africa’s steps to establish accountability will not be swift, but hopefully they will be sure. A more immediate impact of this landmark verdict will be felt in the region. Several African countries remain fertile ground for conflict and repression. Justice and accountability efforts for many victims in Cote D’Ivoire, Guinea, Chad, and Zimbabwe have fallen all short. The obligation of political leaders to answer to the public for their actions and decisions is a cornerstone of a well-functioning democratic system. In principle, political accountability serves a dual purpose. It checks the power of political leaders to prevent them ruling in an arbitrary or abusive manner – and helps to ensure that governments operate effectively and efficiently. Moreover, accountability is linked to citizen participation, leadership responsiveness, and the rule of law, three other pillars that both define and reinforce the practice of democracy. 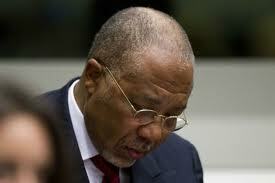 Charles Taylor conviction will have important ramifications around Africa. This is indeed a monumental verdict because the continent has grabbled with the challenge of prosecuting powerful individuals. It is a stark reminder to African leaders, many of whom have often acted with impunity, will have to rethink their actions. After last week court ruling, it is not beyond the bounds of possibility that, they, too, one day be forced to pay for their crimes. International justice must not only be done, but also made to look useful and appealing so that future politicians will decide, in the phrase of the late theorist Judith Shklar, to choose “justice, as a policy”. By Luke Kendeck Consultant and Global Communications/Public Relations Director at Eaton Partnership Inc.